No money down deals - de-bunking the hype been possible. At some level, you have to put your hand in your pocket. The real question, instead of a blanket NMD, is to understand at what level you have to put your hand in your pocket. Example: There was a window of opportunity in the early 2000s to buy property using a deal structure and financial product that did not require a deposit. It was known a "daylight remortgage". That window slammed shut in 2008 when the product was withdrawn around the same time as the financial crash. However, these were not no money down deals even then, they were "no deposit down". There was still stamp duty, legal fees and other costs associated with purchasing an asset. 1. You DO need money to buy property at some level. You will also need money to buy expensive training and mentoring if you want to learn how to do this! What you pay for those courses could actually be used towards a deposit on a property. 2. The way these courses are marketed with massive hype, and big and unsubstantiated claims. This has led to one wealth creation guru being in receipt of a massive fine, disbarred from being a director, and now facing bankruptcy. 3. That the sector is completely unregulated and there is little come-back or routes of redress if it turns out you cannot buy a property for no money. 4. Newbies are being encouraged to take out credit cards or loans to pay for expensive training and mentoring and/or for deposits on property, putting them more in debt before they have even started on their path to "financial freedom". To bring clarification, let's break this down into two types of NMD strategies that are regularly being marketed to new comers - "ownership" and "control". No lender would knowingly allow this and if you did not disclose the source of the deposit, that would be tantamount to mortgage fraud. You also need to be able to qualify for mortgage finance - this means typically having a clean credit rating and a salary of at least £25K. Imagine paying £10K for a course, only to find, later down the line, that you cannot access BTL finance! That is why I always recommend speaking to a reputable mortgage before you start paying for education. 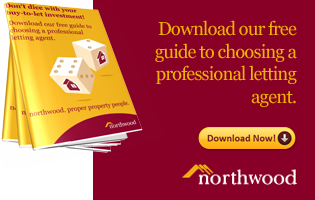 It could protect you from financial loss to learn in advance that you do not qualify for BTL financing. Don't forget stamp duty, legal fees, and other costs associated with acquiring a property and getting it ready for rent, of which there are numerous, up to and including your own time and expenses. Ditto the above concerning access to finance. In the unlikely event that someone would lend a newbie with no experience or track record a significant sum of money, what about the cost of drawing up enforceable legal agreements, which can cost several thousand pounds? What about your time and expenses running the project? These are all legitimate costs if the project goes according to plan. If the project goes wrong, the costs will be magnified as your profit diminishes. The person who is training others turns out not to have done hardly any lease options himself and hardly has any property, meaning he never saw a lease option through to completion! The most notable thing about the Rick Otton case is the claim by the judge of "deceptive marketing". “We Buy Houses and Mr Otton peddled false hope to people simply looking to get a foothold in the housing market or invest money in real estate for their future,” said ACCC Chair, Rod Sims. “They have also effectively been permanently banned from any further involvement in real estate in order to protect consumers,” Mr Sims said. Another lease options and "no money down" trainer, Phil Martin, is currently behind bars for fraud. The Financial Conduct Authority (FCA) has issued several warnings about the dangers of lease options and is also looking into regulating this activity. These are one of the main areas where newbies are losing money imho. Not only in training and mentoring, but through paying for "deals" that do not materialise or go pear-shaped. 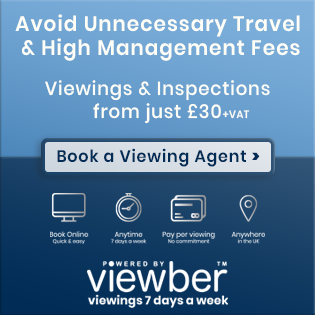 See - Serviced Accommodation / Airbnb - legally? and Air B n B/serviced accommodation - reality? You also need to meet affordability requirements to be able to rent a property and, if you don't meet this, you will not even be able to take control of a property! It's a pipe dream to think there are "tired" landlords out there just waiting to hand over their prize asset to a newbie fresh off a course. If you do get control of a property, then you have to kit it out and make sure it is compliant. This could include getting an HMO licence. This all costs money. Further more, you need to be able to pay the rent, even if you do not get any bookings, so you DO need money as start up costs can be significant. I recall a post on a facebook group a while back - "I've just got my first Rent to Rent opportunity, but I've been unable to fill all the rooms and cannot afford the rent. Anyone have any ideas how I can avoid paying the landlord the rent until I get all the rooms filled?". Margins in Rent to Rent are slim imho, so one void room and you're in a loss-making situation. It is also worth noting that, if you did manage to build a cash-flowing portfolio of R2R properties, you are still at the mercy of the property owner, and, if they decide they want their property back, then all your efforts would have been temporary. 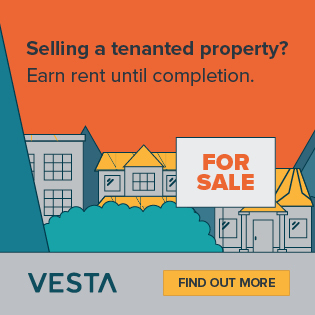 Property is a high value asset and the notion of not needing money for it is, quite frankly, ludicrous, as there are not only costs for acquiring a property, but also for maintaining, repairing, and keeping it compliant to avoid heavy fines. 1. 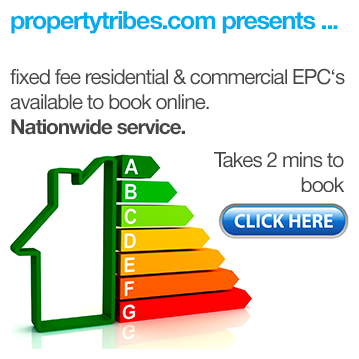 Landlord licence (if selective licensing area) - £400 to £750. 2. New boiler - £1250 to £3K depending on type of boiler. 4. Furniture pack - anything from £3K to £20K depending on the specification of the property. 5. Legal costs of evicting a delinquent tenant - starts at around £450. 6. Damage to a property after a party in a SA property or a delinquent tenant - £thousands. 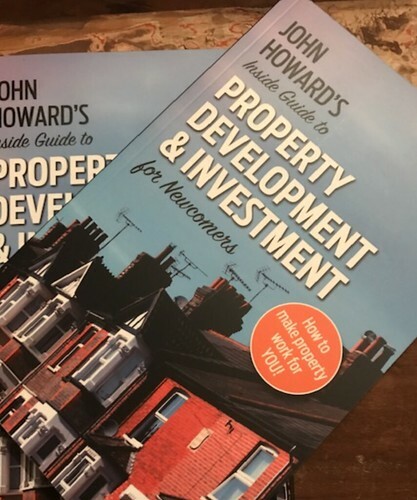 At the Property Investor Show this weekend, I was approached by John Howard, a high profile property investor with 4 decades of experience, who works in several companies in East Anglia, and was formerly a member of the board of directors of Cambridge United football club. In February 2010 Howard's company Bideawhile 445 Ltd. agreed to sell the Abbey Stadium to a property developer for GBP 3,500,000 . The sale was agreed with Grosvenor Estates, and amounted to a profit for Bideawhile of around GBP 2,500,000 - including rental receipts - since they purchased the stadium five years earlier. John's most recent project is a development of 150 flats in Ipswich which he is undertaking in collaboration with the Government's Homes England scheme. In the interview, John mentions his book and we have two copies to give away in a draw. To enter the draw, just share your thoughts on the concept of buying property with no money on this thread whether you think its impossible or if you have achieved it yourself, and you will automatically be entered. Are all property education courses a scam? "No money down" property strategy ended up costing me £7,600 & putting me in debt!" 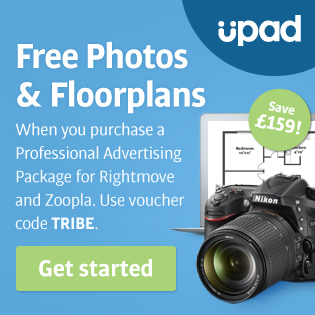 How legal is this NMD (No Money Down) Strategy? Am I deluded but everyone seems at it - No Money Down? WARNING: If you pay for expensive training and/or mentoring there is a high probability that you will be disappointed and end up with a net loss - taking into account the cost of the course. A very few number of people might be able to achieve something, but do not be fooled by a newbie fresh off a course being paraded in front of new starters with as a success story. You need to have been undertaking an activity for at least two years before being able to ascertain whether you have been successful or not. Lease options can run for five years. Until you complete on one and it works for you financially, you cannot claim a success. You are handing over a large sum of money for the privilege of being told a concept. Whether this concept works at all, or if it can work for you in your circumstances, is another matter, but the trainer already has your money. 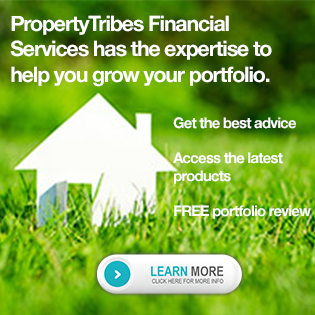 The same information and strategies are widely available to everyone for very little financial outlay, and they are here on Property Tribes for free. It makes far better sense to invest a little bit of time in understanding them, and your situation, before committing large sums of money for training and mentoring that promises easy riches when starting out with no capital. It is of increasing concern to me that the concept of "no money down" deals are once again being peddled in the "wealth creation" or "get rich quick" sector and bigger and bigger venues are being filled by newcomers in search of the "no money down" dream. Reality check! You actually have more chance of seeing the Loch Ness Monster than you have of undertaking a true no money down deal! "No money down" in property has never been possible. At some level, you have to put your hand in your pocket. The real question, instead of a blanket NMD, is to understand at what level you have to put your hand in your pocket. A very true article and one I wish would be read by those who are the buying these seminar tickets. I think there should be a form of marketing regulation in this sector; if you advertise on TV you can complain to the ASA but YouTube? There's nothing and currently there's some scary content on there that could and will ruin the lives of those who don't do thorough research / DD. At the end of it all, this is a business with a lot of legal moving parts daily therefore these courses should be banned. Oh dear Vanessa...the so-called gurus aren't going to like this article! You are, of course, 100% correct in everything you've said, but the number of newbies that call my firm asking to borrow "80% of the OMV" on deals where they reckon they've negotiated a discount is laughable. We try telling them that they won't get the valuation they need, but they just put the phone down and call someone else. 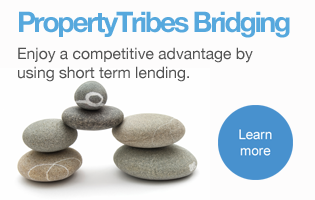 Arguing with simple logic (why would a lender take ALL of the financial risk?) seems to have no effect. The speakers on these courses must be very convincing. I am going to link to your article and email the link over to them in future. Thanks for commenting. However, I am just the conduit. To hear an investor of 40 years experience warning about this has far more gravitas than myself issuing warnings, as gurus brush it off saying I am "jealous of their success". You cannot ignore someone like John Howard or indeed Paul Shamplina. These are independent industry commentators. The irony was that, during the Paul Shamplina recording, a guru was on-stage in the background promoting his new book all about buying property with no money and the crowd were lapping it up. Until the marketing and promotion of these courses is regulated, there will continue to be victims of "get rich quick-itis" unfortunately, but hopefully some of this content will strike home and people will realise that there is no Loch Ness monster, no matter how much you want to believe. The Rick Otton legal judgment should also go some way to giving newbies a reality check about the seductive marketing strategies designed to part them from what cash they do have. I attended the show on Saturday, I sat through three seminars mostly as a strategy to avoid being hauled into the Wedding Show which was the other show at Excel by my partner. The thing I think I was most shocked by was the promises of huge wealth if you followed a simple process available to you for a limited period for only £.....the event was not what I expected it to be, it was a platform to sell sh*t to the poor, desperate and greedy. Steer clear of Global New Homes Developers!